ORLANDO — A Georgia county seeking to develop a spaceport has attracted a small launch vehicle company to set up operations and, hopefully, launch from there. The Camden County Joint Development Authority, the county’s economic development agency, announced Sept. 17 that it had reached an agreement with ABL Space Systems to establish an integration and testing facility for the small launch vehicle that company is developing. Under the agreement, the county authority will lease property at a small airport in the city of St. Mary’s, Georgia, that closed in 2017 and, after making minor improvements, sublease it to ABL. Terms of the agreement were not disclosed, but company expects to start operations there in January. The facility will be used for vehicle assembly, ground system testing and “low energy” test operations, but not for launch operations. Those activities will be coordinated with the U.S. Navy, whose Submarine Base Kings Bay is located next to the site. ABL Space Systems, headquartered in El Segundo, California, was founded by 2017 by several former SpaceX employees. The company is working on a small launch vehicle called the RS1, a two-stage rocket using engines developed by Ursa Major Technologies. The vehicle is designed to place up to 900 kilograms into low Earth orbit at a price of $17 million a launch. A test launch of the vehicle is planned for the third quarter of 2020, according to its website. The agreement comes as the county works to develop a commercial launch site, called Spaceport Camden, to support small launch vehicles like the RS1. While the agreement does not cover launch operations, county officials expect that ABL will eventually become a customer of the spaceport. Getting that spaceport license has been a controversial issue in the region. The FAA’s Office of Commercial Space Transportation released a draft environmental assessment of the proposed launch site in March, concluding that building the spaceport was the “preferred alternative” and that there were no environmental impacts that could not be mitigated in some way. 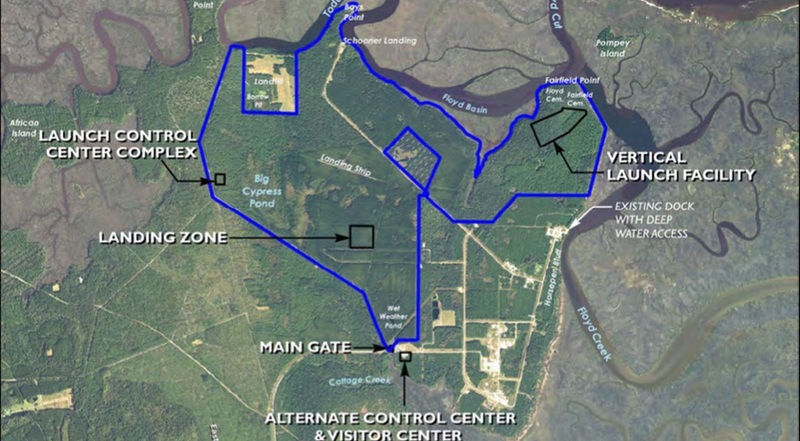 However, some environmental organizations, as well as residents of nearby Cumberland Island, oppose the spaceport, concerned about the effects of a launch accident or the disruption posed by launch activities. That resulted in more than 15,000 comments submitted to the FAA during a public comment period, far higher than the few hundred normally received for an environmental assessment for a launch site. Most were form letters from members of environmental organizations, according to one report. John Simpson, a spokesman representing the Camden County Joint Development Authority, told SpaceNews Sept. 18 that the county is awaiting the release of the final environmental impact statement, followed by the FAA’s decision on the spaceport license application. “We are optimistic for a final decision in 2019,” he said.